Like many small business owners, this client created her first site herself just to get something “out there.” As her business began to grow, she approached me for help stepping up her game. Her specific goals were 1) better showcasing her work, 2) achieving higher rankings in search engines, and 3) generating online leads. 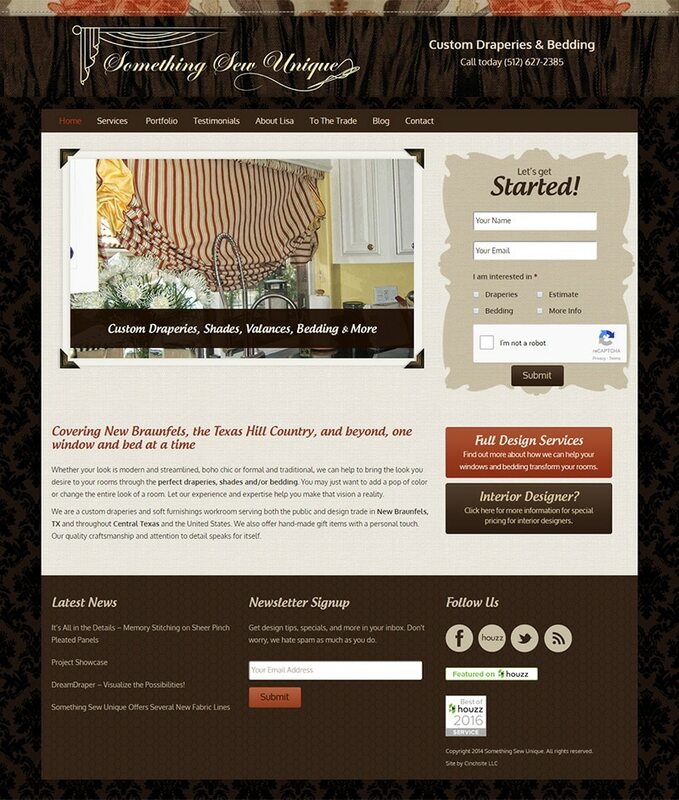 My client’s wonderfully elegant custom drapes were my creative inspiration, helping me deliver Something Sew Unique an equally elegant and easily updatable website that fuels her business with tons of online leads. 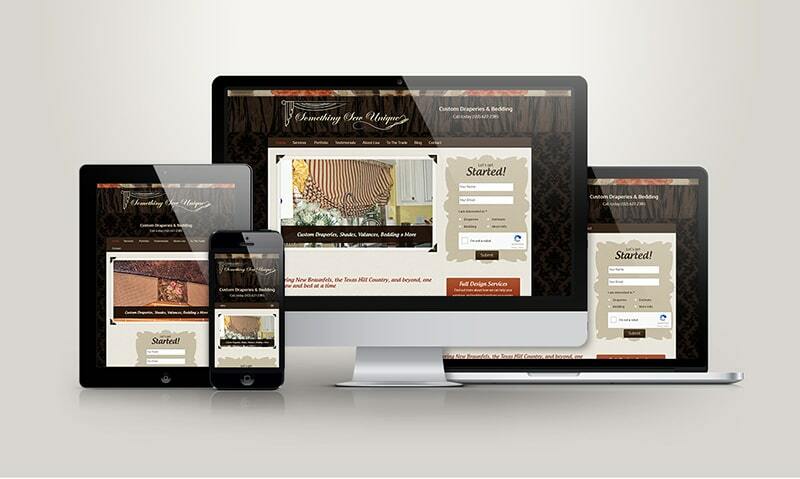 Whether you are a business owner or design firm looking for a freelance website designer, I'm the pro you need! I'm located in New Braunfels, TX and serve businesses across the entire USA. © 2018 Cinchsite, LLC. & Andrea Garza. All rights reserved.